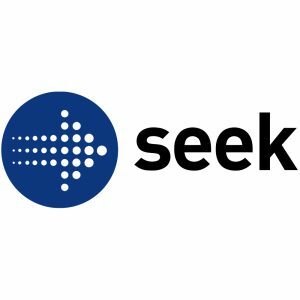 Lindy Alexander interviews Jane Jackson for this Seek article: It’s never easy going to your manager and having a conversation about why you think you should get a pay rise. It can feel awkward and sometimes self-doubt around your own worth can creep in. “Employees who are hoping for a pay rise often worry about whether they’ll be taken seriously and what would be a fair raise to request,” says Jane Jackson, a career management coach and author of Navigating Career Crossroads. But there are certain things you can do in advance to approach the conversation with greater confidence. Many organisations have a process in place to manage salary reviews. Check to see if there is a scheduled, annual process in place or whether pay rise requests are made on an ‘ad hoc’ basis. Find out whether there are pay ‘bands’ that you move up incrementally within or whether there is room for negotiation. “What have you done that has made a difference to the company, your department and your position?” Jackson asks. “Look at your tangible accomplishments,” Jackson recommends writing a list of your achievements, such as if you have saved the company money, improved profits, streamlined processes, improved communication, culture, teamwork or policies, created something new that benefited the company or offered suggestions that were implemented with great results. “In order to be taken seriously when asking for a pay rise you must prove you are worth it,” says Jackson. “If you want to approach your manager about a salary raise, you need to set a time and a place to meet for a half hour discussion with them,” says Jackson. “Get it in their diary so you have quiet time to discuss it properly.” You might like to hint in the calendar invitation or email that this is a more serious discussion using terms such as ‘review’ or ‘conversation’ and avoiding terms such as ‘catch-up’ or ‘chat’. Once you’re prepared for the conversation and have set up your meeting, use this script to help improve your chances of success. If you need help in your career, join The Careers Academy for ongoing career management and career transition support.